We are trained to think that failure is the end of the road. Once a failure has occurred it’s often our first response to hang the balloons and banners for our very own pity parties. However, failure isn’t as bad as you think. Failure can be described as the lack of success or the omission of an expected or required outcome. In layman’s terms, failure means you didn’t achieve what you expected. It’s a tough pill to swallow. When you expect so much from yourself, from a project or even a person and then the bubble is burst. But failure is an experience that we must all go through, it really depends on your perspective. We struggle with failure because inherently we struggle with hardship. We know it’s an inevitable part of being in the duniya but we still find it difficult to deal with. Allah has told us this but at the same time in his infinite mercy, He promised to also give us ease. Allah assures us that we will go through hardships in the above verse. But, He also assures us that with hardship there is ease, TWICE. Within His infinite mercy Allah has made it clear that yes times will get tough, you will face hardships and there will be failures but ease is always on its way two-fold. If we analyse this ayat in two parts, we’ll see that Allah is trying to show us how to shift our own perspectives on hardships and the subsequent failures that may occur in our lives. I know we don’t often look at the lives of the Prophets (as) and think of the word failure, but their lives were filled with hardships. Each and every one of them experienced hardships relating to perceived failures but because of their mindsets, they all overcame them to reach the ultimate success. Failure and success are two sides of the same coin. If you’ve failed at something it’s a sign that you are striving. For the one who strives and makes an effort there’s always going to be a chance that they may fail. As long as you’re willing to try and learn from those failures to come even stronger the next time, can it really be called a failure? The enmity of Satan to Prophet Adam and his progeny is very ancient, going back to the very time of creating Adam (peace be upon him). Satan deceived him and enticed him into disobeying Allah for the first time. Adam was however a human being and man tends to forget. His heart changes and his will weakens. Iblis summoned all the envy within him and took advantage of Adam’s humanity to exploit him. Adam (as) ate the forbidden fruit from the tree, so Allah dismissed him from Paradise. Allah accepted Adam’s repentance and forgave him. He then sent him to the earth as His first messenger. Adam (as) did not wallow in his mistake and failed to move forward. He kept going with the hope and best deeds that Allah WILL forgive him. And his hope and sincere repentance were met with the forgiveness from Allah. Have you noticed in life there are some people that always seem to bounce back no matter what? Do you look at them and wonder, how do they do it? How do they manage to win even when they fail? It’s all a matter of mindset. Falling up is the name given to the theory that even when you fail, you can utilize that failure as a springboard to success when you change your mindset. From an Islamic perspective, we can call this Qadr of Allah (the pre-destination of Allah’s infinite wisdom). When you truly believe in and understand that everything is in the hands of Allah, you can change your way of thinking – Those nagging negatives can be switched around into positives and learning experiences. We can look at the example of Nuh (as). He went through the unthinkable by today’s standards. His commuity beat him up after he came with the message of one true God. His own sons foresook him. But did that stop him from spreading the message given to him? For 900+ years? No. Did he deem it a failure when his own sons failed to accept the message he was sent with? No. He trusted in Allah swt and what he had been given and continued forward. If we look at the life of Ibrahim (as) we’ll see there were MANY ups and downs. He continued inviting his father to the true path as he lived. He always asked Allah to give him guidance. However, his father did not give up worshiping idols until he died. He insisted on his wrong belief. Although he was the father of a prophet, he died as an unbeliever. Your failure is just Allah’s way of showing you a different path to success. Often, we are in the mindset that there’s only one way to success. Even though we know this isn’t true it’s still a concept that we hold onto. It’s easy to blame the wrong path and not our ability to adapt to the situation we’re in. 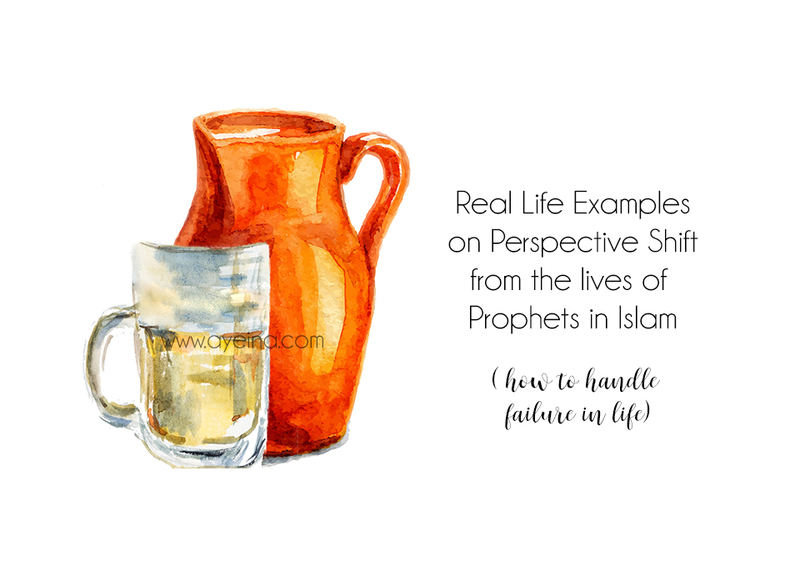 If we look at the example of our Beloved Prophet (saw) – he was put in many difficult situations and he had to adapt in every single one of them. He was the best husband, leader, spiritual healer you name it, Rasulullah (saw) embodied it. Take the treaty of Hudaybiyyah. It went through many revisions before the final wording was settled. What if the Messenger of Allah (saw) was not willing to compromise and see the bigger better picture and put his trust in Allah? It could have been a very different story. The Muslims at the time thought the treaty was a great error but Allah swt revealed verses to the contrary congratulating the believers and promising them much spoils in the future as stated in Surah Al Fath ayah 18-19. It would have been all too easy for him to give up on his people, as most of us would have done. But Prophet (saws) knew that he would have the ultimate success with Allah swt and that several failures in one thing simply meant that success was on a different path. Instead of stopping his journey altogether, he changed his path wherever it was needed. He adapted to the given circumstances. 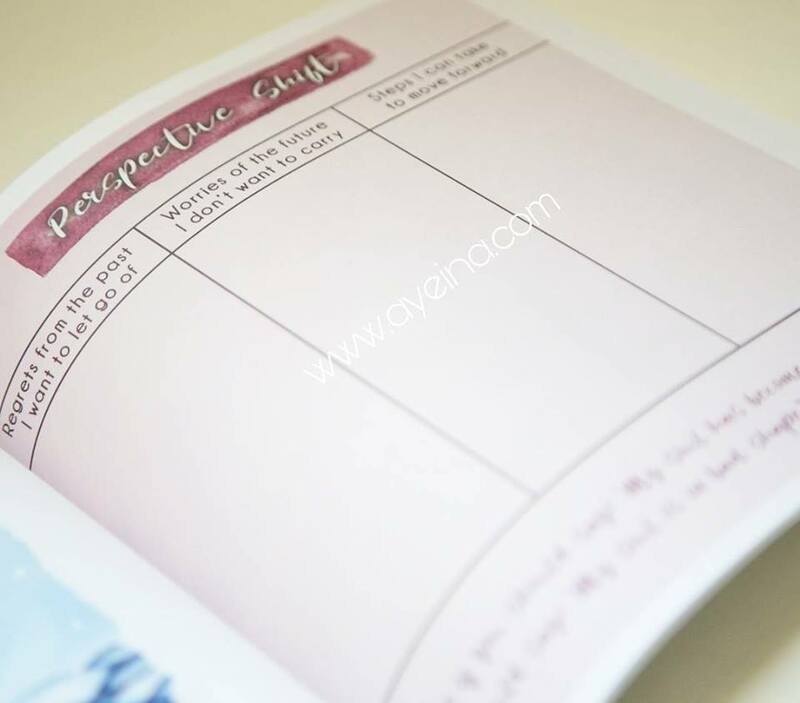 Channeling positive energy into failures and evaluating to move forward are so important! We can’t skip over failure, we must try to glean lessons and improve ourself. Jazak’Allah khair for the beneficial post!